These reviews are here to inform United States car insurance customers about different companies, services, discounts and features. CarInsuranceQuotesComparison.com (CIQC) compiled these reviews based on information provided by each insurance company's website. Because programs and websites can change at any time, you can only be sure of current programs by visiting the website of the company being reviewed. We want to provide you with the best information possible, but cannot endorse or recommend any particular insurance company. We hope these reviews are helpful, but you MUST do your own research when searching for the best car insurance company for your needs. Many people are looking for ways to save money on their car insurance. Some people feel that they shouldn't be paying high amounts on their car insurance because they drive safely and don't drive many miles per year. Progressive auto insurance has a unique auto insurance plan that makes use of innovative and modern technology to assess someone's driving risks. Progressive's SnapShot auto insurance discount plan used to be known as "MyRate". AIG offers special discounts for customers who meet certain criteria. The discounts are generally based on the increased safety of a driver or the vehicle being driven. Buying auto insurance for teenagers can be an expensive undertaking. AIG has created a program that can help reduce the rates for teenage drivers who are covered by AIG policies. TEEN GPS is a mobile technology that helps parents keep track of where their teenagers are when they are away from home. The teenager's cell phone will transmit a signal that is delivered to the appropriate receiver through a GPS coordinate system. AIG is offering free TEEN GPS systems to all of their customers. TEEN GPS also transmits the speed of the car and other safety data that parents can track while a teenager is driving. AARP offers a driver safety course that can be taken in a traditional classroom setting or through an online site. The course is an overview of safe driving habits that can reduce your chances of being involved in an auto accident. Fifteen states have declared it mandatory that auto insurance companies offer discounts to customers who have completed an AARP driver safety program. In states that do not have mandatory rate decreases, AARP offers discounts through their company for safety program graduates. The AARP driver safety program is recognized nationwide as a way to help drivers be safer on the road. Safe drivers can earn several types of discounts from Allstate. Drivers who do not have any accidents or traffic tickets over a three-year period qualify for discounts on their Allstate insurance premiums. If a driver has been without an accident or ticket for five years or more, he or she will receive an even deeper discount on their insurance rates. Allstate also offers a safe driving bonus that allows drivers to deduct 5% of their premium for every 6 months that they do not file a claim with the insurance company. The safe driving bonus is offered in addition to the regular rate reductions. All automobiles that are manufactured in the United States today are equipped with seat belts and safety glass as standard equipment. American Family auto insurance is willing to offer discounts for drivers who go to the trouble of having additional safety features installed in their cars. Automobiles that are equipped with factory-installed driver and passenger airbags and anti-lock brakes are eligible for substantial auto insurance discounts. These extra safety features reduce the possibility of a serious injury for you or your passengers, as well as providing you with extra traction when you need to make a quick stop on the road. Metlife offers several different auto insurance discounts for drivers who qualify. Being a safe driver for a number of consecutive years can earn you substantial discounts on your premium, as well as your deductible. Young drivers who are excellent students can also save money on their car insurance costs. Metlife offers a unique discount program that allows families to pay less if everyone on the policy maintains a safe driving record for a specific number of consecutive years. Customers who are safe drivers earn the highest rewards through Metlife auto insurance. Every year that you are insured through Metlife and you avoid any accidents or other insurance claims, Metlife will give you $50 toward your deductible. Nationwide offers customers discounts for several different reasons. You could earn a discount by having an excellent driving record, or earn a discount for having a great academic record. Vehicle upgrades can also save you money on your Nationwide insurance policy. Homeowners and those who have more than one vehicle insured through the company will also find they qualify for substantial discounts on their car insurance coverage. SafeCo Car Insurance company offers several different kinds of discounts for customers who qualify. You can earn a discount for being a good student, making your car safer, or attending a course on accident avoidance. Many of the discounts are not specific to age or gender and can be taken advantage of by almost any car insurance customer. When you take steps to reduce your risk of being involved in an accident, you will be rewarded by lower insurance rates. Accident prevention courses are available through SafeCo Car Insurance companies. Anyone who completes a course will be eligible for discounts on their car insurance rates. These courses will teach students how to drive defensively so they can better avoid being involved in an accident with another driver who does not follow safe driving practices. You can benefit from a safe driving course no matter how well you drive because the course will teach you specific tactics for accident avoidance. You cannot control the driving habits of other drivers, but you can be better prepared for unexpected behavior on the roads. Travelers Insurance Company offers discounts for many different types of drivers. No matter what your age is or what car you drive, you will probably fit into one of these discount categories. Drivers who live in households where no one has been involved in an at-fault accident will qualify for Travelers safe driver discount. The household must also avoid major traffic violations to continue to be eligible for the discount. GMAC offers a special discount for drivers who take advantage of any of the other types of services available through GMAC. You can earn a discount on your car insurance when you use GMAC financing for your vehicle purchase. 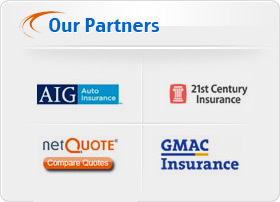 Using GMAC for a mortgage loan will also earn you a discount on their car insurance rates. The 21st Century Insurance Company offers a wide variety of discounts for drivers who qualify. Among other things, you could earn a discount by having a good driving record, getting good grades, or making sure your car is safer for you and your passengers. You could earn a discount for successfully completing a defensive driving course. Your local Department of Transportation will have a list of certified defensive driving courses that you can take in the evenings or on weekends to increase your safety behind the wheel. The Esurance system is organized to make it easier for single parents to research their car insurance options and sign up for the right coverage quickly through their online portal. Single parents do not receive a specific discount, but they do qualify for many of the discounts offered by Esurance. If you install any form of extra theft protection for your vehicle, you could qualify for a discount with Auto Owners insurance company. Something as simple as a steering wheel lock will make your car a less desirable target for a car thief. Electronic tracking devices and alarm systems are even more reliable ways to protect your car against theft or vandalism. Your credit score can have a direct impact on how much you pay for your car insurance through Farm Bureau. If you have a clean credit report, you will receive a discount on your insurance rates. People who maintain healthy financial practices are generally reliable and tend to maintain healthy driving habits as well. Farm Bureau believes that someone with a clean credit report is a person who can be trusted to treat their vehicle properly and avoid risky situations. This makes it possible to offer a discount in advance to customers who exhibit financial responsibility. Unitrin offers a wide range of discounts for drivers who qualify. You can receive a discount just for being 65 or older. Drivers under 18 have a variety of discount options. Talk to your Unitrin representative to find out how many discounts they can offer you. You can earn separate discounts through Unitrin for installing many different kinds of safety equipment on your car. The insurance company offers discounts for customers who install anti-lock brakes, driver and passenger air bags, and daytime running lights. All of these features increase the safety of everyone inside the car if you are ever involved in an accident. The daytime running lights can help you be more visible on the road, which could lead to fewer accidents. You may also qualify for a discount if your car is equipped with passive restraint systems, like automatic seat belts. Titan Car Insurance company is devoted to providing affordable car insurance for people who may not be able to find coverage from a standard insurance company. Most of Titan's customers need non-standard insurance policies that are not available through other large insurance carriers. Titan provides car insurance coverage for drivers who have had problems with accidents, traffic tickets, age, or other factors that can make it impossible to find reasonably priced insurance policies. Titan is a financially stable insurance company that allows its customers to create flexible payment plans that fit their budgets so that they can continue to drive legally. Titan became a part of Nationwide National Insurance in 2003, which allowed it to widen its provider network to more states across the nation. Infinity Car Insurance company offers a small range of special discounts for customers who qualify. Unlike most car insurance companies, Infinity tailors its business toward non-standard coverage needs. That means that their discount programs are not as extensive as you may find with an average insurance carrier, but they offer more options for individuals who may not be able to find car insurance with a standard insurance company. Although discounts are not the main priority of Infinity, they still offer some nice incentives for drivers with good records or good grades. Older drivers can take advantage of a special discount for successfully completing an approved driving course. Customers can also receive various discounts if they take advantage of the Infinity website to sign up for their car insurance policy. Horace Mann Auto Insurance Company offers discounts geared toward educators. Teachers can qualify for several discounts that help keep insurance costs down. Educators started Horace Mann, designed to meet their unique needs on every level, from teachers to office administrators. The families of educators can also take advantage of many of the deep discounts offered through Horace Mann. Horace Mann offers many different types of insurance coverage aside from the car insurance program. If you choose Horace Mann for your home insurance or life insurance needs, you will receive a discount on your car insurance policy too. Extra discounts are possible for individuals who choose to purchase three or more types of policies through Horace Mann, which can help keep all of your insurance costs down across the board. This discount is only available to qualified educators who carry multiple lines of business with Horace Mann Insurance. Drivers can receive several different kinds of discounts on their car insurance through Allied Auto Insurance. You can take advantage of special discounts for people with good driving records, students with good grades, or anyone who purchases more than one type of insurance through Allied. If you own a home, you can save money on your home and auto insurance when you choose to purchase them both through Allied. Combining your insurance needs can save the insurance company money on administrative processing and paperwork, which directly benefits you. It is also easier to keep track of all of your insurance information when it is kept in one central location. Allied home insurance and auto insurance together will provide you with the opportunity to negotiate your insurance needs through a single office rather than two separate companies. Western General Car Insurance is a company that caters specifically to low-income drivers who need to maintain their legal insurance coverage but can't afford the standard rates at traditional insurance companies. Western General provides flexible coverage so that paying for car insurance can be easier for anyone who needs to own a car while living in a low-income situation. The company has offices in 16 states, and it offers service to residents of all 50 states through its website and toll free phone system. While Western General does not offer a wide array of discounts the same way that traditional car insurance companies do, the standard rates that customers pay are lower in general. There is a also a special discount program some customers can use. Affirmative Auto Insurance coverage is available in 11 states, with the largest customer bases in California, Texas, Missouri, South Carolina, Indiana, Florida, and Illinois. The company's goal is to provide basic car insurance coverage at affordable rates for those who may have trouble finding affordable insurance through standard insurance companies. Affirmative only offers a few select discounts on its premiums because the company spends its time focusing on keeping its regular premium rates down for all customers, not just those who qualify for a few specific premium discounts. Affirmative offers several different rates based on a customer's specific information rather than setting discounts based on certain qualifying factors. Access General Car Insurance sells insurance through independent agents in several states. The insurance company caters to non-standard insurance customers. These customers might have a hard time finding affordable rates through traditional insurance companies because of problems with their driving records or the types of cars they drive. Purchasing non-standard insurance coverage through a company focused on non-standard policies can be far less expensive than trying to create an individual policy through a company that offers a wider range of services. Atlantic Mutual Auto Insurance Company offers several different discounts to help keep your car insurance premiums lower. The discounts apply depending on a driver's qualifications in specific areas. If you live in a household with one or more driver, there is a good chance that your household is home to one or more vehicles. When you sign up for multiple policies with Atlantic Mutual, you will receive a discount on your car insurance premiums. The only stipulations are that each vehicle owner must live in the same home and be related either by blood or by marriage. Spouses, children, and even distant relatives living together can all take advantage of this discount. Each participating driver will receive a separate discount on his or her Atlantic Mutual policy. Ameriprise Auto Insurance Company has agent representatives in every state. The company also offers home insurance nationwide. Customers can take advantage of the lower rates offered through Ameriprise because the company invests in their clients rather than expensive advertising. Ameriprise offers premiums that are lower than the premiums you would find with most national insurance companies. Compared to other big name insurance companies, Ameriprise offers a limited number of special discounts. This allows the company to offer lower premiums to every customer rather than just give discounts to those drivers who qualify due to certain circumstances. Foremost Auto Insurance, formerly Bristol West Auto Insurance, is owned by the Farmer's Insurance Company. Foremost is only available for customers who need car insurance in the states of Florida, Connecticut, Kentucky, Georgia, Maine, Louisiana, Mississippi, Maryland, New York, New Hampshire, and Pennsylvania. Foremost provides several different types of discounts for customers who qualify. Foremost also allows you to save money on your car insurance by choosing higher deductibles. When you sign up for a higher deductible up front, your annual premiums will be less expensive than if you sign up for a lower deductible. Since you only have to pay your deductible if you need to file a claim, safe drivers have better odds of saving money on insurance using this tactic. The General is an auto insurance company that specializes in offering insurance to drivers who may find it difficult to find insurance with traditional car insurance companies. 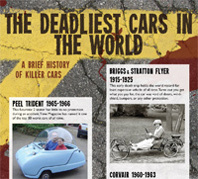 Their policies provide a more affordable alternative for high-risk drivers. High-risk drivers include those who have been involved in several accidents and those who have received multiple traffic citations. Drivers charged with a DUI can have a very difficult time finding affordable car insurance. Some drivers receive high-risk status because they drive rare or highly expensive vehicles that would be difficult to repair or replace under a traditional cookie cutter insurance policy. The General is equipped to handle the accounts of anyone who cannot find affordable coverage through a traditional company. Qualified drivers can receive several discounts through Electric Insurance Company. Due to state insurance regulations, the available discounts can vary from state to state. Drivers can qualify for more than one discount at a time. Electric Insurance Company offers special discounts to drivers employed by General Electric. GE employees can also take advantage of the automatic payroll deduction plan, which allows them to have their car insurance premium withdrawn from their payroll each month. Members also receive a discount on their car insurance through Electric Insurance Company. Affiliations with other groups, clubs, or employers could qualify you for specific auto insurance discounts. Speak with your Electric Insurance agent for details about affiliate programs in your area. You can qualify for many different kinds of discounts through EMC Insurance Company. Discounts are available for drivers with good driving records, upgraded safety equipment on their vehicles, multiple policies, and many others. Drivers who insure both their home and their auto with EMC will receive a special discount on their annual premiums. Combining your policies makes it easier for you to keep track of payments because you receive all of your information from the same company. It also makes correspondence and other administrative aspects of keeping your policy less expensive for EMC because all of your information is the same for both types of policy. Homeowners typically pay less for car insurance because they are regarded as more financially stable. Including your home insurance through EMC allows you to save even more. Unitrin Direct Auto Insurance Company offers special discounts for drivers who qualify. Many of the discounts overlap, and drivers can qualify for more than one discount on a standard insurance policy. The safer your car is for you and your passengers, the less you will spend on your car insurance. You can receive a discount if your car is equipped with anti-lock brakes, daytime running lights, or airbags. Automatic seatbelts could also help you qualify for this discount. If you have taken steps to protect your car from theft or vandalism, you may qualify for another discount. Installing a vehicle tracking system that will help recover a stolen vehicle could earn you a discount through Unitrin. Equipping your vehicle with a device to help prevent theft in the first place can also save you money. Main Street America offers discounts for drivers who qualify in many different ways. The discounts vary by state because state insurance regulations can differ widely. The following discounts may apply to you. Full time college and high school students can qualify for a discount up to 25% if they meet the age and grade requirements. Maintaining a good grade point average indicates you are a responsible individual and it is a good indication that you are a safer driver. Your good grades can offset the risk associated with younger drivers, which can help keep your insurance costs lower while you are a student. Students will need to be able to prove their grades each term by sending a copy of their grade reports to the insurance office. Drivers who qualify can earn several different kinds of discounts through Preferred Mutual. The discounts are available to good drivers, good students, members of certain organizations, those who install specific safety equipment on their vehicles, and anyone who chooses to purchase more than one type of policy through Preferred Mutual. Other discounts might be available for drivers who meet certain requirements. Not all discounts are available in all states. Check with your Preferred Mutual representative to find out what sort of discount you might earn. Plymouth Rock Assurance offers several different discounts for individuals and groups. It also provides unique services, like the gas price finder and the savings pass, to help you save as much money as possible when you are driving. The Plymouth Rock gas price finder will give you a listing of the current prices at several gas stations in your particular zip code. All you need to do is enter your zip code information into the appropriate box at the Plymouth Rock website and it will return a comprehensive list so that you can find the best gasoline price within your geographical area. The gas price finder is as accurate as possible, but it cannot guarantee that the prices will not be adjusted between the time when they are reported and the time when you visit the gas station. If you have a good driving history with no accidents or traffic violations, you can expect to pay less for your car insurance. Although there is not a special discount offered for good drivers, everyone who maintains a safe record is generally qualified to receive lower insurance rates. Anyone who is willing to pay off their car insurance premiums once a year instead of in monthly installments will immediately experience savings through Sentry. Making one lump sum payment ensures that you will remain covered throughout the year. There is no danger of a coverage lapse from a late payment, and you won't have to take any further action to be confident that your coverage is always current at any time. Union Mutual Car Insurance offers several types of discounts for drivers who qualify. Not all of the discounts are based on your driving record, though. You can earn some discounts simply by signing up for more than one policy or insuring more than one vehicle through the same policy. Talk with your Union Mutual agent for more details. If you choose a policy with a higher deductible, your regular premiums will be less expensive. Union Mutual offers deductibles as high as $2,500 for most standard policies. Remember, when you are selecting your deductible you should pick one that you could afford to pay out of pocket if you need to file any claims. It is possible to save money through the deductible credits program as long as your deductible fits your budget in a realistic manner.